For Cartoon Network, Toonami has been one of the most celebrated blocks on the channel. It has been responsible for introducing popular Japanese anime (shows such as Dragon Ball Z, Sailor Moon and Gundam Wing just to name a few) to a wider audience in the west and providing a home for a slew of top-tier animated action shows ( Justice League, Megas XLR, and Samurai Jack). Which is why, when the block's 20th anniversary came around on March 17th, 2017, Adult Swim and Toonami decided to celebrate the special occasion. This celebration included a giveaway to the block's loyal fans, a special edition of Toonami Pre-flight with interviews with the cast and crew, a comprehensive history of the show's creation, and a Exquisite Corpse animation project directed by Simon Wilches-Castro. Toonami was also given the chance to present special premiere of Mamoru Oshii's new 25 minute 5 part mini-series, titled "Sand Whale and Me." Though the road for Toonami hasn't exactly been an easy one, this twenty-year milestone is a big deal for cast and fans alike. 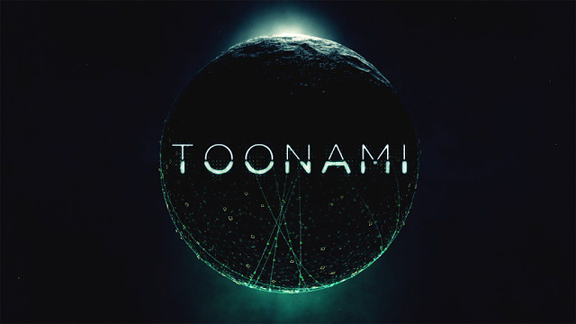 As a front runner for celebrating animation suited for all ages, Team AFA would like to offer our own congratulations to the Toonami crew and wish them continued success in the years to come. Check out the History of Toonami Documentary, as cast and crew of Toonami discuss the show's collective past. And here is Toonami Exuisite Corpse Animation.